Following the ‘CEO Pizza Cook Off’ in which my Chicken Caesar Pizza stole the show…..I got the opportunity as the winner to present a cheque to my chosen charity. 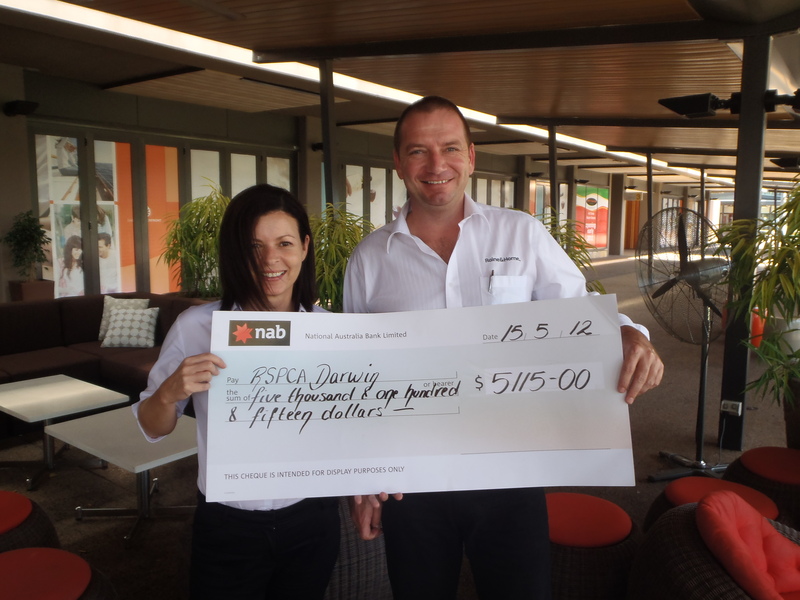 The RSPCA was the recipient of the proceeds raised on the evening generated by the charity auction. It was a nice big fat one so I am sure that there will be a few happy dogs gnawing a new bone this week.